Automation Technology GmbH’s IRSX series of IR thermal imaging cameras from Stemmer Imaging AG facilitates the use of thermal imaging in Industry 4.0 applications. Completely self-contained with embedded data processing, these compact, rugged cameras feature a multitude of interface protocols for direct communication with automation and control equipment, including OPC-UA, a platform-independent, open standard for machine-to-machine communication. 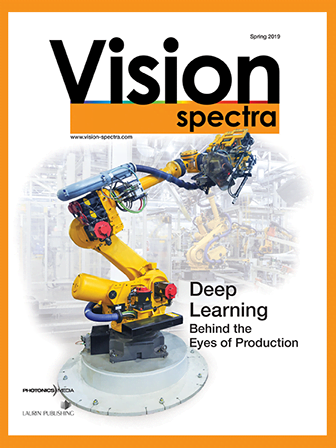 With a choice of sensors, fields of view, frame rates, and physical configurations, these cameras can be used for autonomous thermal monitoring wherever temperature is a critical factor in the manufacture and processing of industrial products. Other applications include preventive early fire detection and plant condition monitoring.